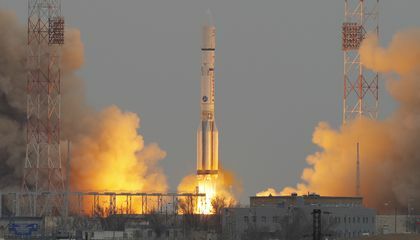 Europe and Russia have launched a joint mission to explore the atmosphere of Mars. It will also hunt for signs of life on the red planet. The ExoMars probe is unmanned. The mission is a partnership between the European Space Agency and Roscosmos. It took off March 14. The probe is aboard a Russian rocket. It is expected to reach Mars in October. The probe's Trace Gas Orbiter will study methane and other gases in the Martian atmosphere. It wants to determine where they are coming from. This is according to Paolo Ferri. He is ESA's head of mission operations. Methane is created by biological or geological activity. It breaks down within a fairly short period of time once it reaches the atmosphere. "It cannot be older than 400 years. That means there has been either biological or geological activity in this timeframe," said Ferri. "Four hundred years is nothing. If there is methane, it means there is basically a process going on now." The hope of finding life on Mars has excited scientists for some time. That even includes microscopic organisms. So far, no life has been discovered. "The fact that they've not found life doesn't mean certainly that there's no life there," said Ferri. He noted that much of the planet's vast surface hasn't been closely examined. That task will fall to a rover that ESA plans to send to Mars in 2018. Until then, the orbiter will have time to find a good landing spot. It will conduct a test run using a trial lander. The name of the lander is Schiaparelli. It is on board the probe. If life is discovered, it actually raises questions about whether future manned missions to the planet should be attempted. That's according to Mark McCaughrean. He is senior science adviser at ESA. "Weirdly, if we find life on Mars, it actually really begs the question if we should go at all with human beings because of that idea of planetary protection," he said at ESA mission control. It is in Darmstadt, Germany. "We would take with us bugs. And if now those bugs meet Martian bugs, that could be a disaster." Landing a spacecraft on Mars is very difficult. Several tries have failed. One included ESA's Beagle 2 probe that was part of the Mars Express mission in 2003. Beagle 2 disappeared during the landing process. It was a setback the agency is keen to avoid this time. It led to a decision to separate the orbiter mission from the actual landing attempt. "It was quite clear that putting both things in one mission drove up the complexity," said Ferri. ExoMars cost the European Space Agency alone $1.44 billion. 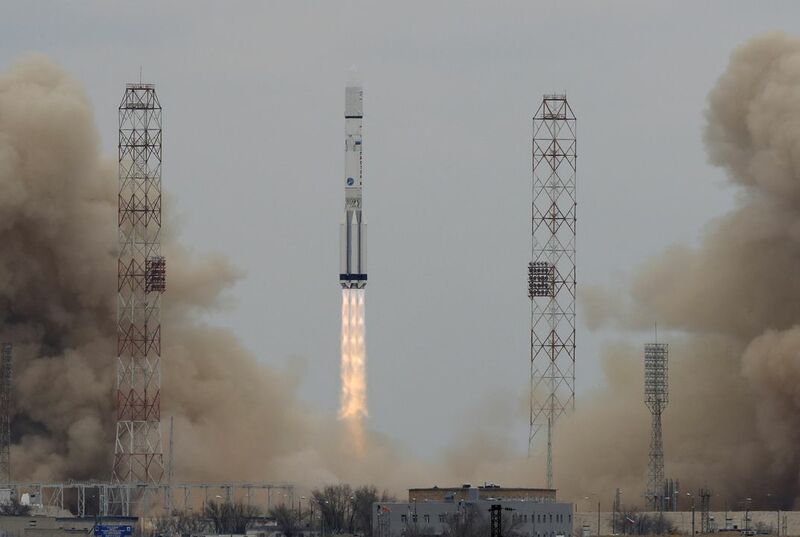 ExoMars is the first interplanetary mission jointly undertaken by ESA and Roscosmos. The orbiter also has a NASA-built radio on board. The radio will help relay signals from other Mars probes. Because four hundred years really is nothing in Mars days. Paolo Ferri says 400 years is nothing, because if there is methane, it means there is basically a process going on. Four hundred years isn't nothing because it can be longer. Paulo Ferri says four hundred years is nothing because there is basically a process going on right now.And because no life has been discovered on Mars.And that is why he said that four hundred years is nothing. I think he said "For hundred years is nothing" is because there is methane it means there is basically a process is going on now. I found that information in the article. Paragraph 5 and the last sentence. And I also think that Paolo Ferri thinks it's not a long time for him. Ferri said "Four hundred years is nothing because it can not be older than 400 years.The reason why it can not be older than 400 years is that there has been either biological or geological activity in that timeframe. It breaks down at a short period of time when it reaches the atmosphere.Methane is created by biological or geological activity.It has to do with something in this time frame.There is still process going on. Because they have studied older things than 400 years they have probably studied over 9,000 year old things in space the things in space are over 1,000,000 years old (one million). The universe has been over 1,000,000,000 years old so they have been studying pretty old stuff in space.